Senesco believes in finding better clinical solutions by thinking differently, being innovative by promoting integrative processes to put the patient at the center of care. Senesco believes in challenging the status quo by developing innovative clinical tools with symptom resolution as the ultimate goal; Senesco believes in the patient’s right to have access to clinical options outside of the established “symptom management” model. Sanesco pursues further knowledge and understanding of Hypothalamus-Pituitary-Adrenal axis function as it relates to the manifestation of chronic symptoms and conditions, and develops clinical tools to provide patients with non-drug options and clinicians with scientifically based protocols that put the patient at the center of care in pursuit of symptom resolution and optimum health by addressing the underlying factors contributing to disease. Sanesco arms clinicians with the education and training necessary to expertly interpret biomarkers critical to optimal HPA Axis function, and how best to treat the patient. Sanesco specialises in the measurement of such biomarkers and development of the most safe and efficacious therapeutics to strategically optimize these key biochemical deficiencies and excesses using a non-drug approach. Health care leaders, politicians, and socioeconomic analysts agree that there is a lack of emphasis on fundamental health issues underlying the prevalence of chronic disease. According to the Centers for Disease Control and Prevention, 70% of all deaths are due to chronic disease, and the cost of chronic care is exceeding $1.5 trillion per year, or 75% of all medical expenses. Integrative medicine offers research-driven solutions such as Sanesco’s clinical model as a cost-effective remedy to the epidemic of chronic diseases that continue to tax the economy and our society. Integrative medicine offers practitioners knowledgeable guidance to tailored therapies across the full spectrum of both conventional and CAM practice, thereby providing any given patient more options – and more opportunities for success – in overcoming or preventing their chronic condition, as well as the pursuit of personal health. Integrative medicine thus offers the opportunity to combine the best of both conventional medicine and CAM, and thereby produce better patient outcomes measured in terms of symptom relief, functional status, patient satisfaction, and perhaps cost-effectiveness. Initial non-pharmaceutical treatment options typically cost less in gross cost, and the potential long term care can be much less when underlying causes of disease are corrected and maintained. Sanesco’s role in integrative medicine is to partner with health care practitioners by sharing our expertise in the role of HPA axis function within the neuroendocrine system, providing access to our technologies in bioinformatics and analytical chemistry, and making specialized nutraceutical products available – all of this aligned to help address the individual biochemistry of each patient. Neurotransmitters and hormones communicate and work together as one system, defining the essence of the brain/body connection and the emotional and physiologic response to perceived stress. The hypothalamic-pituitary-adrenal-thyroid axis is complex, so appropriate testing and monitoring must always be done to determine the current state of balance, the ongoing need for specifically designed supplements, and appropriate dosing. Sanesco offers expert technical training and clinical support to assist practitioners in choosing the most appropriate test profiles, interpreting test results, and selecting appropriate Targeted Nutritional Therapy formulas to address their patients specific biochemical needs. Sanesco’s protocol for correction of neuro-hormonal imbalances includes Targeted Nutritional Therapy™ options. Targeted Nutritional Therapy™ is a clinical protocol using natural non-drug formulas specifically balanced with precursors and nutrient cofactors to give you more control in optimizing neurotransmitter levels than typical high dose, and “shotgun approach” amino acid therapy. 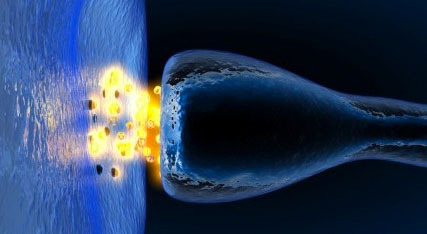 Based on historical and ongoing exhaustive research of the medical literature, statistical analysis of clinical outcomes, and the combined clinical experience of almost 100,000 patients, Sanesco has amassed a treasury of experience and understanding of the clinical relevance of HPA Axis function to a wide range of symptoms and conditions, and the ways to address key underlying neurotransmitter and adrenal hormone imbalances impacting function of this Axis. It is this unparalleled expertise that allows you to benefit from the clinical tools and deeper understanding of the role that certain neurotransmitter and/or hormonal imbalances play in the manifestation of patient symptoms, and gives you the ability to achieve improved clinical outcomes – simply, safely, and effectively.